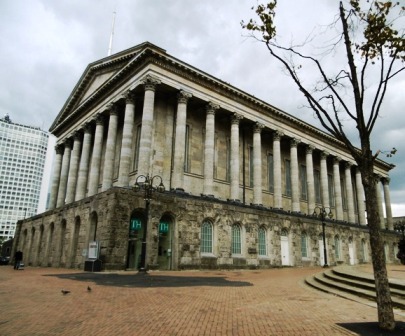 A free music and arts festival curated by a team of young people takes place at Birmingham Town Hall on Saturday August 6, 2016, 2pm - 11pm. The SoundLounge Festival features up and coming musicians and artists selected by members of Town Hall/ Symphony Hall's Project SoundLounge team who are all aged between 16 and 25. Project SoundLounge is part of Town Hall/ Symphony Hall's youth development programme which enables young people to create an arts festival in Birmingham. The youngsters take on the programming, producing and marketing of the festival, building a range of employability skills. Affiejam: A 22-year-old songwriter whose music is typically guitar-led, combined with mellow soulful tones and melodic finger-picking. Barbella: The 19-year-old French-born singer-songwriter and producer combines Neo-soul and progressive R&B with electronic muses. Truemendous: Currently working on an EP to complete a trilogy, this 23-year-old has already released an impressive body of work. The storyteller first came to our attention in 2014 with the release of debut mixtape, The Autistic Librarian. This was followed by the first two of the trilogy EPs, Whormonal Moodswings and Hello. Marieè: The Canadian-bred musician, currently living in Birmingham, has performed at notable places such as the O2 and the Shaw conference centre in Canada. Recently she worked with American producer Tim Legend on an Electronic/ future bass song, Call Me. 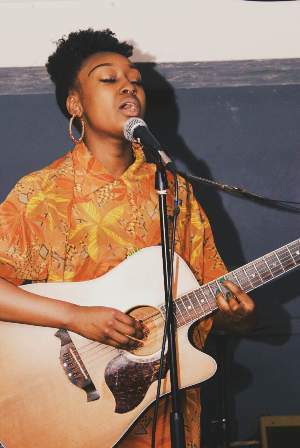 Kemi Sulola: A singer-songwriter mixing British Soul and R&B, Kemi's influences include Lovers Rock, Neo-soul. Hip Hop, Reggae, Gospel, Afrobeat and Jazz. Her latest project, Fallen For You, is her first EP. Dorcha: The creation of composer Anna Palmer, the five-piece alternative, electronic goth pop group have been compared to the likes of Bush, Bjork and PJ Harvey. From classical to punk, trashy pop to psychedelic rock, the ensemble of strings, synths, fx and beats is a continuing exploration of alternative song writing. Butternut: A Neo-soul group led by Birmingham Conservatoire graduate Stuart Barker. The outfit focuses on Stuart's electric and synth bass playing as well as his love for Neo-soul and Hip Hop. With Stuart are fellow Conservatoire students Lucinda Fosker, Dave Grey, Jon Brown and Jerome Johnson. Karl Monroe: A Birmingham-based Indie Psychedelic four-piece who gave everyone a preview of what to expect when they performed at Birmingham Symphony Hall's 25th anniversary celebrations in June. Lucy Mulgrew, Project Soundlounge Fellow, says: "As a former Soundlounger, I know how exciting this project is to be a part of. The team has worked incredibly hard to create a festival which showcases a variety of fresh and unique artists and performers from across Birmingham." Free tickets for the festival can be booked at www.thsh.co.uk or by phoning the THSH Box Office on 0121 780 3333. This year's Project SoundLounge team includes Katy Nagle, Claire Watts, Caitlin Whittaker, Chris Harvey, Omar Grant, Uma Lanka, Anri Sasaki, Xavier Reeves, Cathy Msuya, Wesley Hollyoake, Nathan Gayle and Ziryab Jamal.